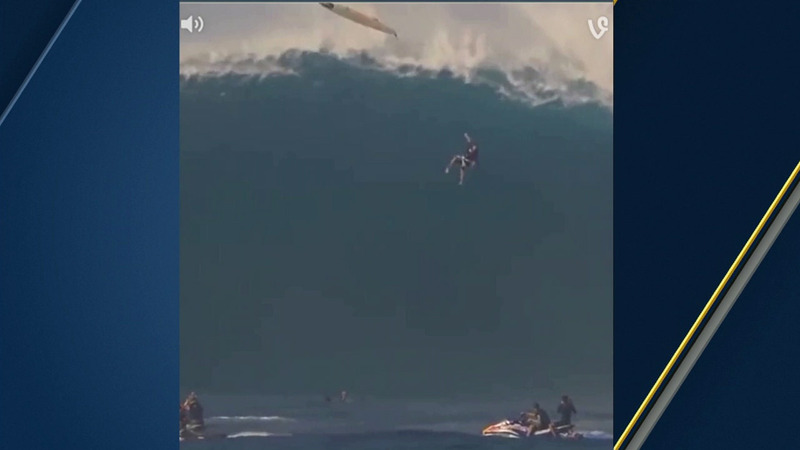 MAUI -- Professional surfer Tom Dosland had an epic wipeout while trying to ride one of Maui's famous Jaws waves. In a viral Vine video, Dosland takes off, but can't make the drop and flies from his board, free-falling back into the wave. His board snapped and he said he had a bit of a stiff neck, but it was not enough to keep him from riding the big waves the next day. The video has had more than 2,000 re-tweets, views and shares.